Holy half-baked opinions Batman! This week our very own Rogues Gallery of Villains (Gerry – The Joker, Owen – The Riddler, James – The Penguin, Steve – Catwoman) not only review The Dark Knight Rises, but also tackle all things Batman in a bumper 2 hour Batman Special. In the opening section we discuss our randomly-allocated Batman films of the past – including Gerry’s near-breakdown over the 1966 movie and Owen looking for the positives in Batman and Robin. Plus Steve puts us all to shame with his tales of heroism. Well, sort of. This week’s Triple Bill sees the critics giving us their favourite performances from the actors that have played the Caped Crusader in the last 25 years. Then finally (at 1hour and 19 minutes if you want to skip) we review the most anticipated film of the year. Does it live up to expectations? 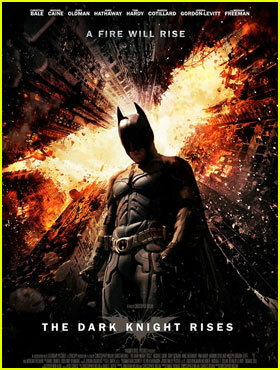 Was it a worthy conclusion to the Dark Knight Trilogy? Could we understand a word Bane was saying? We’re away next week, but will return on 7th August with a review of Ted and our favourite sporting movies.